If I leave the marital home prior to or during the pendency of a divorce, is it considered abandonment? There is no such thing as “abandonment” in Florida, so you do not give up ownership or interest in the property if you leave the marital home and move someplace else during the pendency of the divorce. Often times, it is very difficult to live with your spouse while going through the break-up of the marriage. If you have the financial resources and/or an alternative place to stay, it is often better to leave the marital home. It is best to discuss this issue with your attorney before making a decision to move or remain in the marital home with your soon to be former spouse. How much is my divorce going to cost? Why is it difficult to get attorneys to give a straight forward estimation of the cost of a divorce? The issues presented. If the parties can reach an agreement on all issues- division of property, alimony, children issues- the divorce can be concluded fairly inexpensively. Typically, disputes regarding the care and custody of children can increase the costs associated with divorce, as can the issue of alimony or spousal support. If parties are on agreement with each other, the costs are reduced, while costs will increase if there is disagreement about major issues. At Halickman & Farley, LLC we are cognizant of the legal fees and costs associated with a divorce, and do our best to work efficiently, without sacrificing quality of representation. We often do a cost benefit analysis with our clients when strategizing and evaluating settlement offers. Is litigation the only way to resolve the differences between my spouse and I? Mediation: This involves the assistance of a third-party neutral who works with the parties in devising creative solutions regarding alimony, equitable distribution, and the care of children. It requires a commitment by both parties to compromise and listen to the needs of the other party. Mediators are often lawyers, but do not need to be. Every case that is filed is required to attempt mediation at least once prior to a court hearing to resolve the issues. 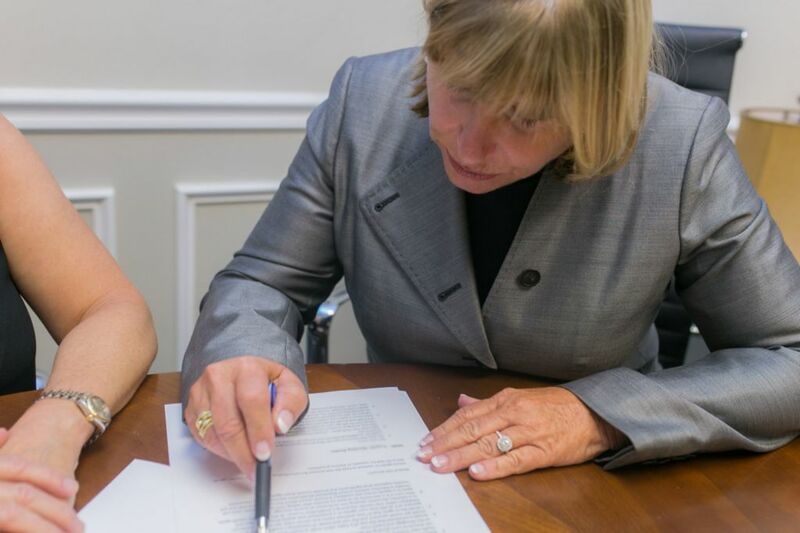 Both partners in our firm are Florida Supreme Court Certified Family mediators. Collaborative Law: Collaborative law is a process where all parties, including the lawyers, are committed to resolving all issues without litigation. All parties in this approach have a stake in reaching an amicable resolution. Should litigation become necessary, the lawyers involved in the collaborative process are unable to represent the parties in litigation, therefore, if the negotiations break down, the lawyers lose his/her client and the client must start over with another attorney. This provides incentive for everyone to exchange necessary information, listen to the concerns of others and work towards finding a win-win solution for the family, and compromise in order to avoid the expense of litigation. The short answer to this question is no, although parties can negotiate certain rights outside of the context of filing for divorce. This may be in the form of post-nuptial agreements or for a petition for support (alimony and child support) unconnected with dissolution proceedings. How is child support determined? How is alimony determined? If the parents are both wage earners, child support is essentially a calculation that considers the amount of overnights child(ren) spend in each parents home, and the net income of each parent after allowable deductions such as income tax and health insurance premiums. This formula has been established by the legislature and requires a minimum payment for the benefit of children. Alimony is a bit more complicated, as there is no uniform formula and there are various forms of alimony. Alimony is based upon the length of the marriage, the earning capacity of the parties and the ability of one spouse to pay for the needs of the other. How does one modify existing orders of alimony, child support or matters relating to children? Once a court has entered a Final Judgment of Dissolution of Marriage or Paternity, the order can only be changed if a party can demonstrate a substantial change in circumstances that is permanent, unanticipated and involuntary. For orders relating to the care of children, a party seeking a modification would have to also prove that the requested change serves the best interest of the children. What assets/liabilities are subject to distribution in a divorce? Assets and liabilities that are acquired during the marriage are subject to division. Premarital property that has not been “comingled” (or mixed in) with marital assets may be kept separate, as are gifts or separately held inheritances/bequests. If I am not married, but have a child, how do I establish my rights to my child? The filing of a paternity petition can lead to the establishment of child support, parental responsibility (the right to make decisions on behalf of your child) and timesharing. I am in fear of being harmed by a spouse, former boyfriend/girlfriend or family member? What can I do? One can seek injunctions against violence and stalking if in fear of imminent harm. Once such a petition is filed, the court may grant a temporary ex parte (without hearing) order with a court date to occur within approximately two weeks, or grant an opportunity to make a case for an order at a hearing. If such an order is obtained against you, it is important to address it, as it can have significant legal implications, such as the right to own a firearm and its appearance on a background check. I have children and would like to move but my former spouse won’t let me? Can I move? If you are moving less than 50 miles from the other parent’s home, you may do so, unless you agreed to a more restrictive area in your Marital Settlement Agreement and/or Parenting Plan Agreement. If you move more than 50 miles from the other parent’s home and/or out of state, you must either obtain the written consent of the other parent and/or a court order. One may file a Petition to Relocate, which would consider all circumstances of the move, the effect on both parents and whether the relocation is in the best interests of the child(ren). It is important to obtain legal counsel if you are planning on moving (50) miles or more or out of state as certain requirements must be met and complied with or the Court can order the return of your child(ren). Most divorces are completed within (1) year of filing the petition for dissolution of marriage. If the parties are able to reach an agreement on all issues without lengthy discovery, a final judgment of divorce can be entered within (30-90) days of filing. In contentious and/or complex cases, the divorce process can exceed (1) year.